Welcome to the city of glitz, Dubai! On arrival, clear customs and immigration, collect your baggage and exit the airport. Our tour operator will meet you there for your transfer to the hotel. After check in, you can relax in your room for a while and remove jet lag. In the evening, you can go for a self exploration of the glistening city. Just a stroll would give you a good experience of flamboyance of the city. Indulge in some local Arabic cuisine on your way back to the hotel. This morning, after having breakfast at the hotel, we proceed for a half day city tour of Dubai. The city is a perfect blend of vibrant cosmopolitan life and age old culture and heritage. 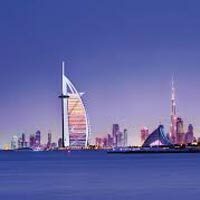 We first visit the most famous landmark of Dubai, Burj Al Arab Hotel. Take loads of pictured from different angles in-front of this world famous luxury hotel. 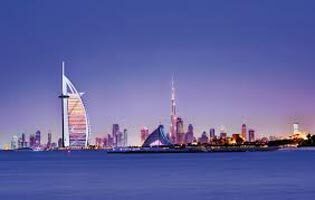 We’ll also visit Jumeirah, the spectacular palace of Dubai where we will visit the renowned Jumeirah Mosque. 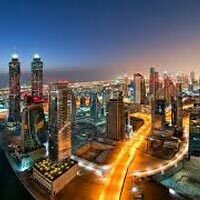 We then go to see Dubai’s age old culture at Al Fahidi Fort, home to Dubai’s famous museum. There are several other attractions also that we would witness while on the tour. Evening is for the exciting Desert Safari, the biggest attraction of Dubai. Get aboard an exciting dune drive across the desert. Witness the beautiful sunset over sand dunes, enjoy camel ride and sand boarding. Camel ride in the desert is not that easy and it will make you hungry too! So then we enjoy delicious barbecue dinner and shisha (the famous Arabic water pipe). Relax and enjoy the amazing belly dance show by the campfire. Return back to hotel after an awesome day. Laze off in your bed as you have a relaxed morning today. Freshen up and enjoy the breakfast. Day is free for your own leisure. You can opt for some tour or you can go shopping. 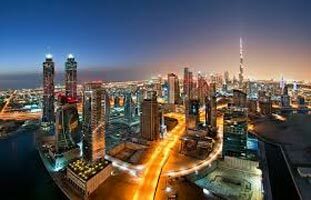 Dubai is famous for its extensive-n-expensive malls with all the latest fashion, designs and technology, teeming with top brands and addictive designer boutiques. You could also opt to go to the traditional markets called souks. It will be a nice experience altogether in the traditional lanes of trade. Evening is going to be luxuriously romantic on a Dhow Cruise. It is a traditional wooden boat that glides along the Dubai creek under starlit sky while a sumptuous dinner is served to you in true Arabic hospitality. Savour the delicacies and spend some cosy moments with your partner. Return to hotel afterwards. After having a fill at the breakfast, pack your bags and check out from the hotel. If you have time left in your flight, you may want to grab some last minute shopping. Bid bye to the flamboyant city. Transfer to the airport for your return flight. We await your feedback of the tour.